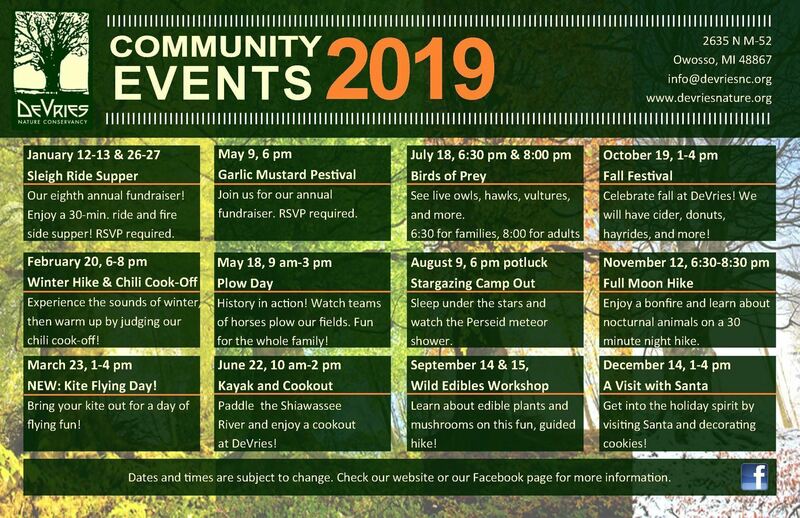 DeVries Nature Conservancy hosts a variety of community events throughout the year. Most are free to attend and family-friendly. You can download or print the calendar below for easy reference. We also offer a variety of educational programs, special events and camps that don't appear on the Community Events calendar. Check out our Events Calendar page for a complete list of all the events and programs we offer.